What it takes to live the life of a poet—a creator of the creators. They say that poetry is the purest form of art. A form that knows no boundary. It never binds a creative mind with any fixed rules. Poetry is the ultimate manifestation of free expression. For Aveek it was love at the first sight. He recalled that during his childhood days he used to spent hours reading poems. Thus, his solitude as a child filled up with the sound of poetry. Initially, his favorite poet was Sunil Gangopadhyay. With time the choice has changed but the love remained the same. ‘Subhash Mukhopadhyayer Kobita’ was Aveek’s first complete encounter with any collection of poems. Gradually, he came across the works of greats like Jibananada Das, Bishnu Dey, Shakti Chattopadhyay and Shankha Ghosh etc. Thus, a young fresh mind was immensely attracted to the magical world of poetry. Finally, Aveek decided to publish a little magazine, 'Bidroha'. And that marked the beginning of journey of a new-born poet. Aveek started writing poems regularly around 1979-80. His first collection of poems ‘Lyric Bahini’ (Anushtup) published in 2004. He strongly believes that a poet should wait for the right and respectful opportunity for publishing himself rather than going bizarre hoping to publish books. 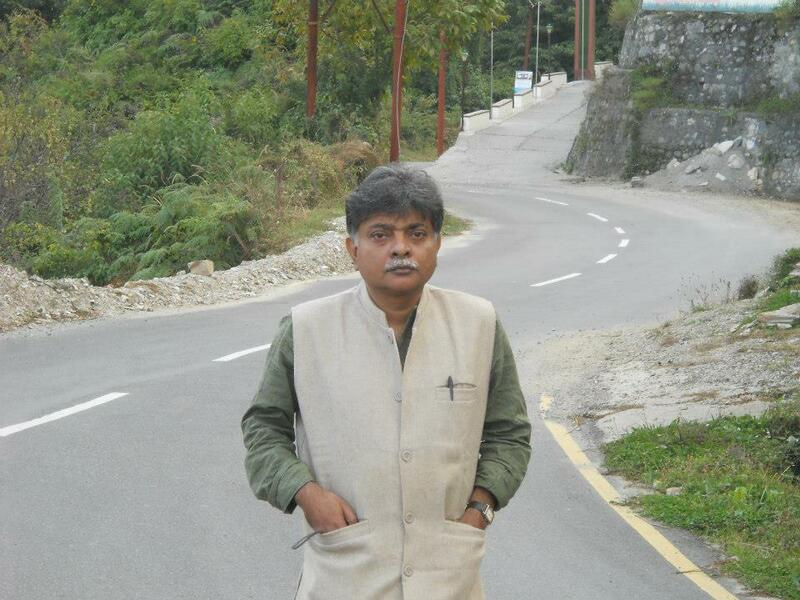 So far a number of collections of poems by Aveek Majumder have been published from various Kolkata-based publications. His books like ‘Nishipralap’, ‘Sindhulipi’ and ‘Vikshapatro’ have earned critical acclaim as well as loved by common readers. He translated poems of renowned Marathi poet Namdeo Dhasal in Bengali. Later, that work published as a collection in 2006. The poet often talks about how living legends like Shankha Ghosh and Joy Goswami have inspired him. Aveek says, “Prose is not my mother language”. If you ask him to define his poetry he would humbly say, “Trust me I am nothing. Go and read good poetry”. That’s his style of igniting minds and thus, he opens up the horizon of a new world before his readers. Come let’s listen what Aveek Majumder shared with us.